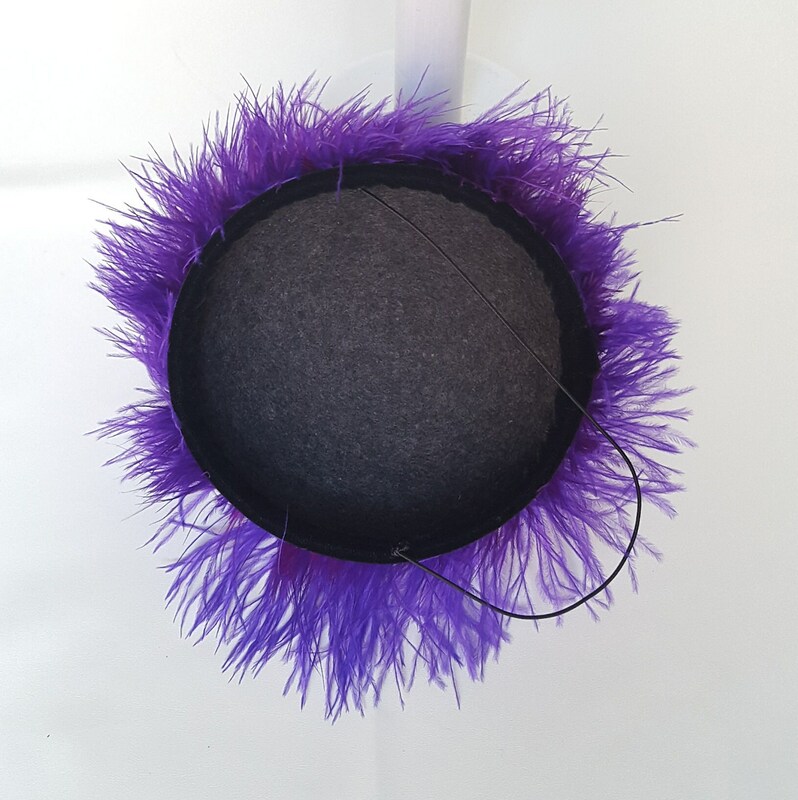 This is a hand blocked felt base fixed with elastic band. 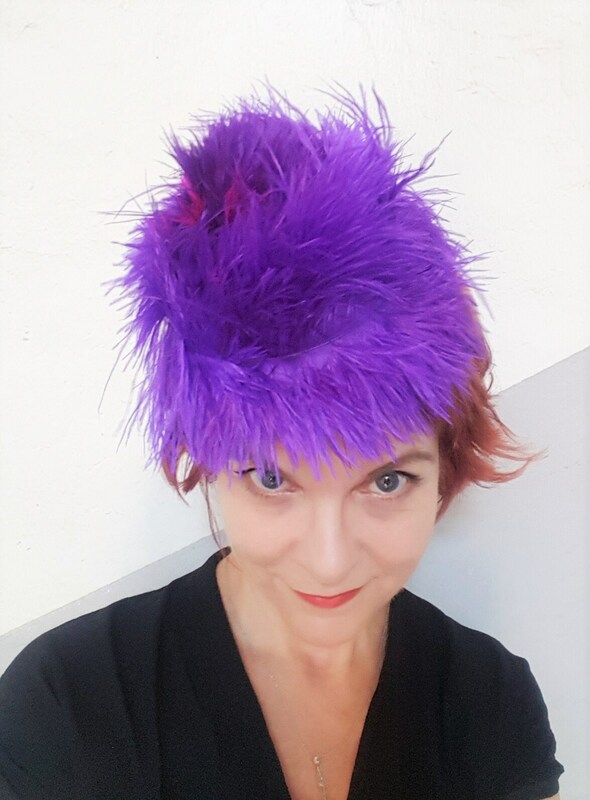 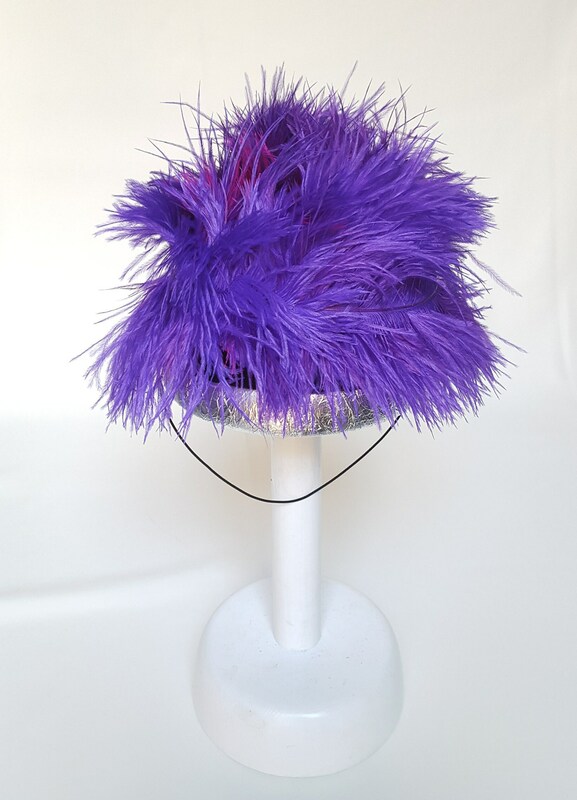 There are about 100 precious ostrich feathers, all individually hand-sewn, in three different tones of purple and a few in hot pink. 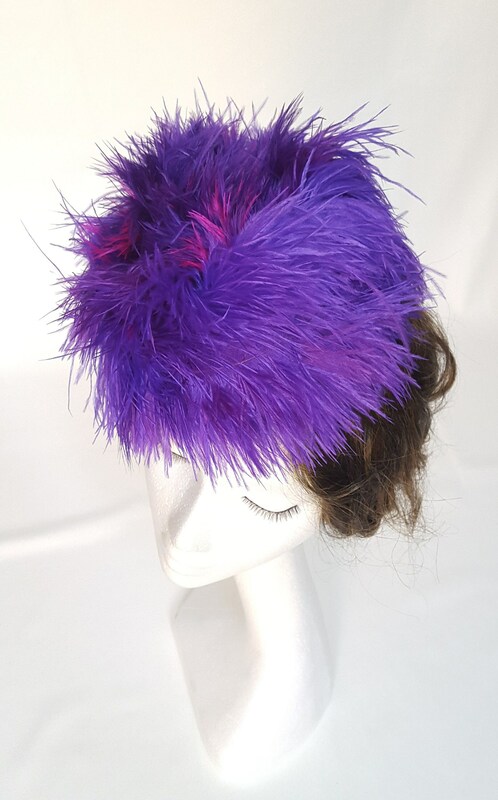 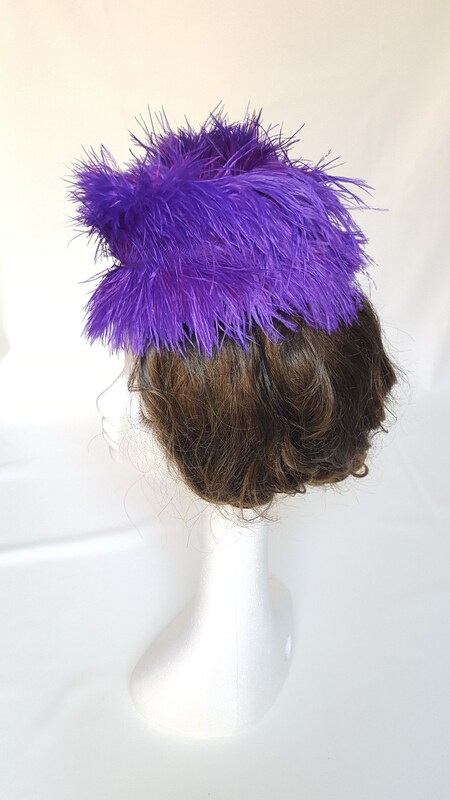 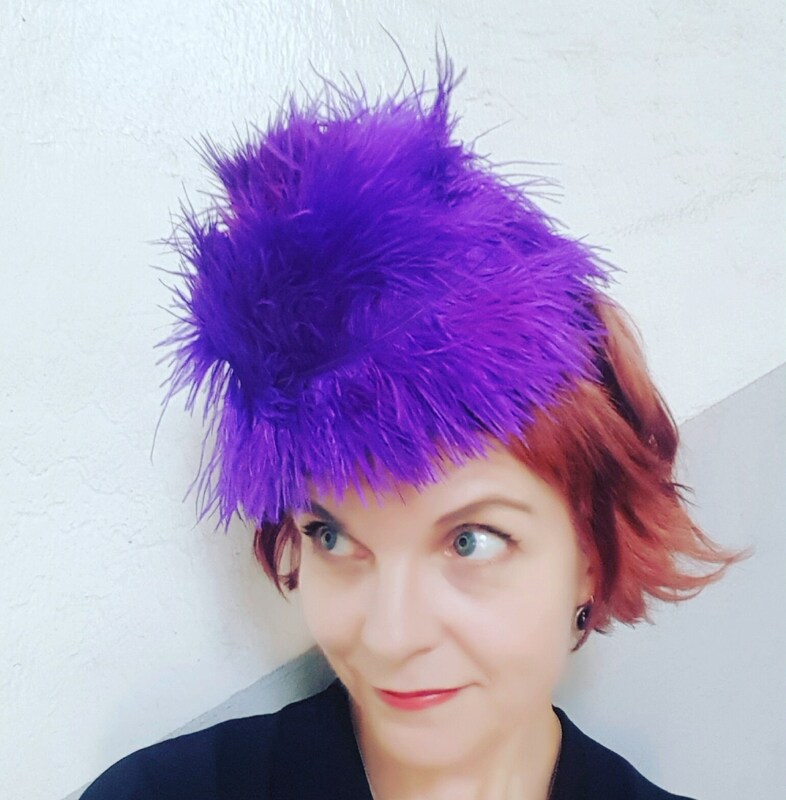 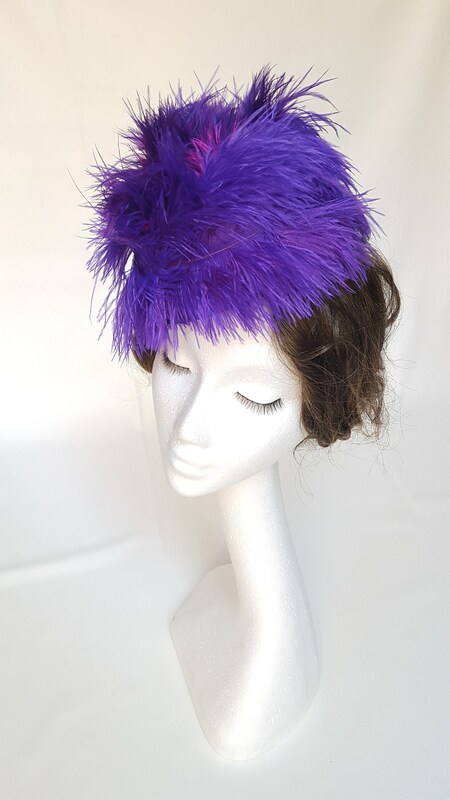 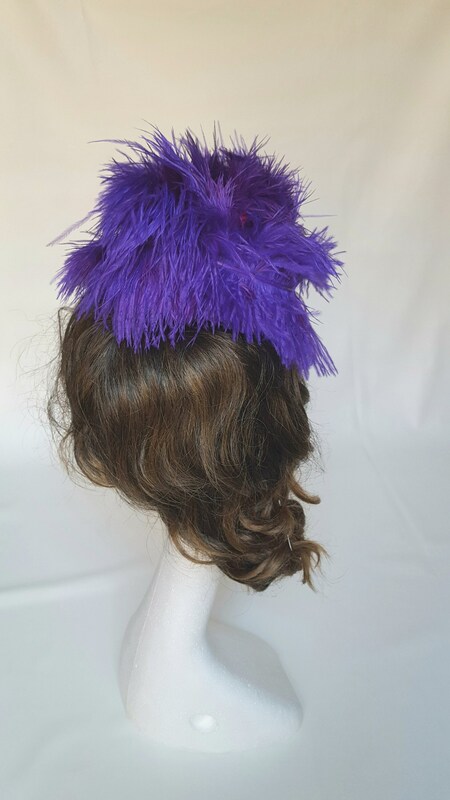 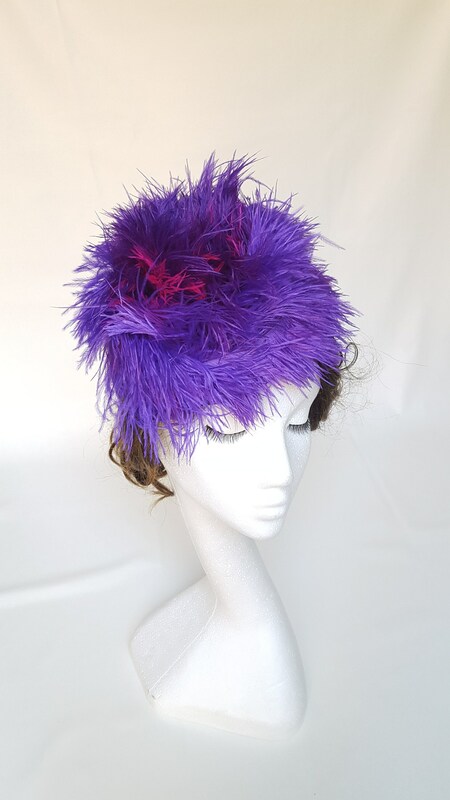 This headpiece is incredibly soft and very colorful, it will look great on short hair or with your hair bound in a tail, so the feathers will nicely cover part of your forehead and hair. 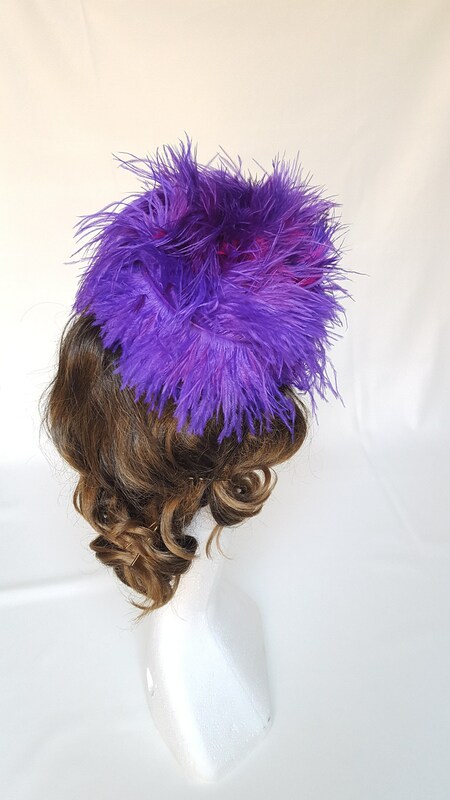 In the wind the feathers will flutter, creating an interesting movement.